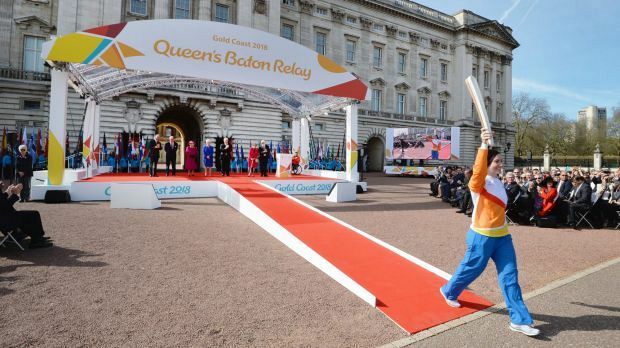 There are concerns the Queen's Baton will travel one of its last legs through empty streets in Brisbane ahead of the Gold Coast 2018 Commonwealth Games. The baton was due to travel through Brisbane on March 30 and 31, 2018, which is Good Friday and Easter Saturday. The 11-day sporting event will start on April 4 and will be attended by 6600 athletes and officials, with many expected to travel via Brisbane. Brisbane City Council officer Steffan Thomas told the council's infrastructure committee the official announcement of the route the baton would travel was expected to be announced in November. Councillor Kim Marx (Runcorn) asked committee chairman Amanda Cooper if November was early enough for the baton's route to be announced. Cr Cooper said the council was already aware of several proposed routes for the baton to travel and would work with Commonwealth Games Corporation to find the best route. "We will not be disclosing that (discussed routes)," she said. "The only other thing to note is with the relay going through on Good Friday ... a lot of people potentially might be away. "I think you might actually find it's really quiet ... I think they're probably thinking about finding places where people will be around." Cr Marx said: "It's a shame". Mr Thomas said there would be two travel modes for the baton while it was in Brisbane: convoy mode and baton-bearer mode. "The baton-bearer mode is when a series of runners are out and moving through certain areas, doing about a 200-metre length themselves before passing it onto someone else," he said. "A convoy moves with them to support them, drop off the runners and also security as well. "The convoy mode is really just a whole lot of vehicles moving to the next point (no runners)". During the Games, two Brisbane sporting venues will be used: Anna Meares Velodrome at Chandler and the Belmont Shooting Centre. During these events, it was understood major roads would be closed, including Old Cleveland Road and Tilley Road.